This post is sponsored by Head Country. Sponsored posts, along with affiliate links, are what enable bloggers like me to maintain and operate sites that are free to the public. That said, I only work with products and brands that I personally use and would feel proud to give as a gift. As if you couldn’t tell, I cook outdoors a lot. I also do ribs several times a month. That said, it’s no surprise I use a lot of BBQ sauce. Given how often I work with the stuff, I appreciate and value different sauce flavor profiles – one day I’m glazing a rack of pork ribs in a sweet sauce, the next I’m ready for some heat. 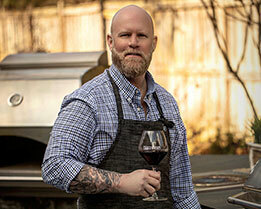 If there were such a thing as a BBQ sauce sommelier I would definitely be one…wait, is there such a thing? Have I missed my calling? True story: I literally stopped writing this blog for a second to Google “BBQ sauce sommelier” and didn’t find any type of certification – maybe I should make it a thing? Anyway, I digress. My point here is I recently came across a sauce from Oklahoma and just had to share it with you. For complete transparency: Head Country does sponsor some of my recipes, however they did not ask for this review or compensate me for it in any way. I found this product on my own and have fallen hard because it’s just good sauce. After starting a food-centric Instagram account some time ago, I quickly realized one the best benefits is seeing and reading about new sauces, seasonings, and products (I love kitchen and BBQ gadgets) that I wouldn’t normally find on my own. 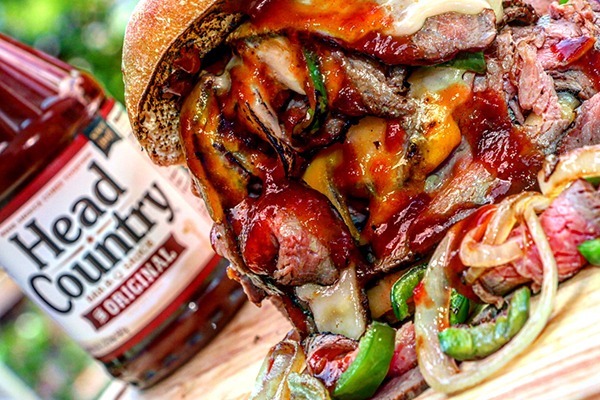 Head Country Bar-B-Q Sauce is one of those gems I found on Instagram, and I couldn’t be more grateful for my good fortune. Head Country is an Oklahoma based company that’s been around since the 1940s. Before trying it myself, what I found most interesting about this sauce was the dedicated following. People LOVE this sauce…like really love it; and they are passionate about it. The sense of community that goes with the tradition and flavor is welcoming; to me that’s a big part of what barbecue is all about in the first place. While their Instagram presence and devoted fan base may have initially piqued my interest, I was even more excited to discover that the sauce itself is amazing! So many BBQ sauces mask the flavor of the meat and I suppose that’s a good thing if you get your hands on some poorly cooked BBQ. However, with a well-prepared dish I want to taste the meat. 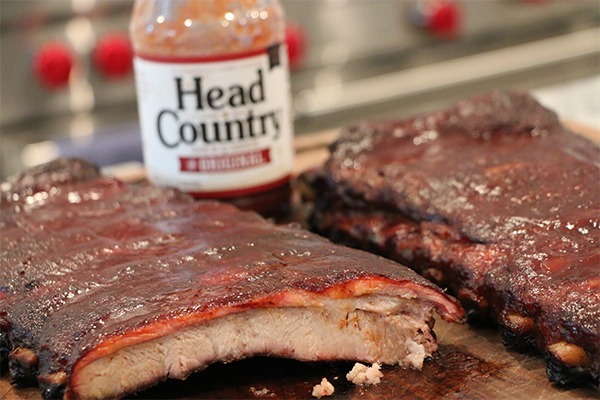 The sauce should simply enhance the flavor of good meat and Head Country Bar-B-Q sauce does just that. I’m often asked which one I like most and the answer really depends on what I am serving with it and who I’m serving. For example, I love the Hot & Spicy which, despite the name, isn’t overpoweringly hot but when I’m cooking for a large group I go with The Original because not everyone likes even a little heat as much as I do. If I’m doing a pulled pork and slaw sandwich with some pickles, I’m going Apple Habanero; it works so well with pulled pork and is a natural fit, to be honest. Like so many things in BBQ, which one is the best is subjective but the bottom line is you really can’t go wrong with any of the flavors I’ve tried. And – even better – thanks to their dedicated following, it’s not hard to find fans of each flavor and inspiration for using it in your own recipes.